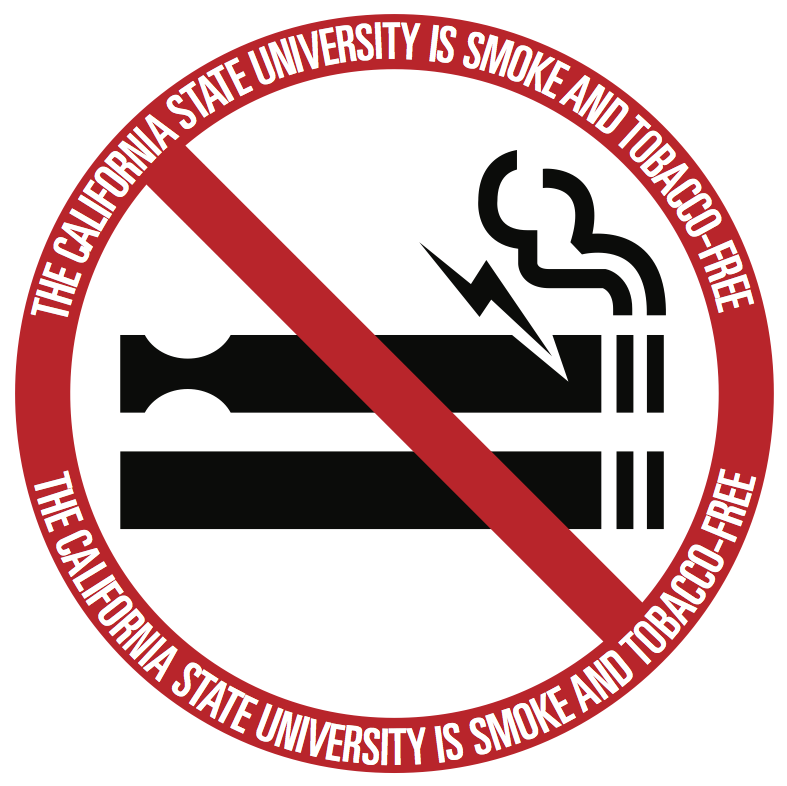 Smoking, the use or sale of tobacco products, and the use of designated smoking areas are prohibited on all California State University properties. Members of the CSUMB community are expected to fully comply with the policy. Tobacco cessation resources are available for faculty staff and students at CSUMB. Students may contact the Health Promotion and Education department within CSUMB's Health and Wellness Services for more information about what resources are available. Employees may learn more about tobacco cessation resources through the Employee Assistance Program. Corporation employees make seek assistance through their Employee Assistance Program. CSUMB is committed to providing a healthy and safe environment for our campus community, neighbors and guests. Providing a smoke and tobacco-free environment reinforces our commitment toward a safe learning environment for our entire community. 1. Health and Wellness Services, University Personnel and University Corporation Human Resources shall maintain and enhance vigorous, on-going, and well-publicized programs to assist faculty, staff, and students who wish assistance in overcoming their dependency on tobacco/nicotine. A list of community resources shall be made available to any requester. 2. Deans, directors, department chairs, and heads of other administrative units shall periodically review and assess the implementation of this policy in their respective areas to ensure compliance. 3. This policy shall be included in the University Catalog, Student housing Community Standards, recruitment information for new employees, orientation programs for students and employees, and other informational publications. Campus visitors shall be informed of the policy through appropriate University signage and through informational campaigns. In addition, contractors who perform work for the University on University properties shall be advised of this policy. 4. Peer-to-peer education will be the primary means to promote compliance. Health and Wellness Services will work with entities across campus to coordinate and support education and outreach programs promoting smoking cessation, smoking cessation resources, and the benefits of a smoke and tobacco-free environment. 5. Student Housing & Residential Life, the Otter Student Union, Conference & Event Services, the Office of Admissions, Facilities Services, Student Engagement & Leadership Development, Alumni, the World Theatre, and other campus entities that contract for the use of campus facilities or routinely invite visitors to the campus are responsible for ensuring this Policy is communicated. 6. University Personnel and University Corporation Human Resources are available to assist with policy interpretation, education, and compliance. 7. Hostile and/or violent interpersonal conduct directed against members of the CSUMB community requesting that an individual(s) comply regarding compliance with the terms of this policy will not be tolerated, and will be enforced under applicable policies, including but not limited to workplace violence policies.